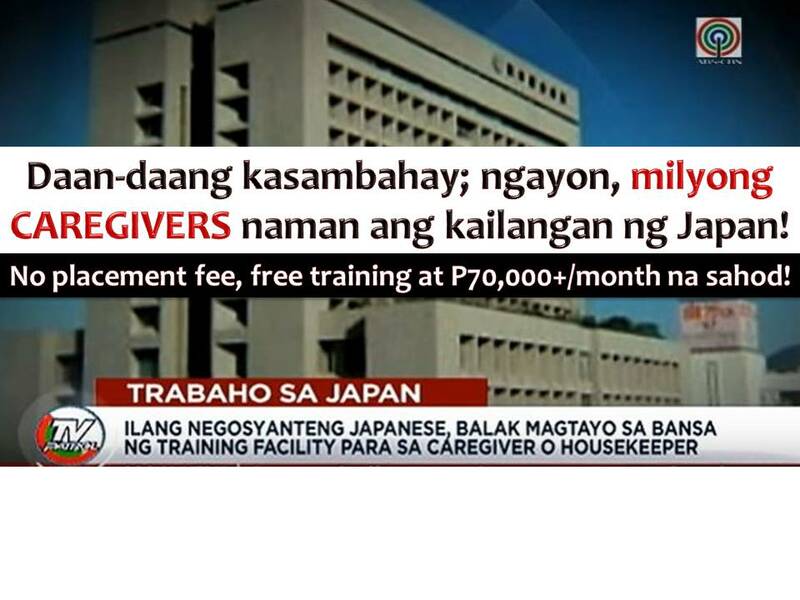 Good News to those Filipinos who wants to work as a caregiver in Japan. This year, Japan will be needing a million caregivers for their aging population. In ABS-CBN report, Japanese businessmen are currently in the Philippines, where they met DOLE Secretary Silvestre Bello III and Cabinet Secretary Jun Evasco. According to the report, Japanese businessmen plans to put up a training facility in the Philippines for those who wants to be caregiver or housekeeper in Japan. This is because their priority is Pinoy caregivers. Through his interpreter, Taiji Yamada, chief of the Board of Directors of Taizankai said, they witness how caring Filipinos are, particularly in health aspect." "Gaano ka-caring ang Pinoy pagdating sa health, nakita nila yon." On the other hand, PHGIC Director Jerome Turga said, among the suggested location for the training facility are in Davao, Cebu or Bohol, and Laguna in Luzon area. The Japanese will fund the training facility and they will also bring their high-tech equipment in the Philippines. The training is free together with Japanese language classes and the jobs have no placement fee with a salary of more than P70,000 a month. Turga said facilities are important to level up the knowledge of Filipinos who wants to be caregiver or housekeeper in Japan. "The only way to do it is for us to have a competitive edge and our advantage from our Asian counterparts is that Pinoy can be better carers compared to the rest of them." As of the moment, they are just waiting for guidelines from Philippine Overseas Employment Administration (POEA) regarding the deployment of Filipino caregivers to Japan. 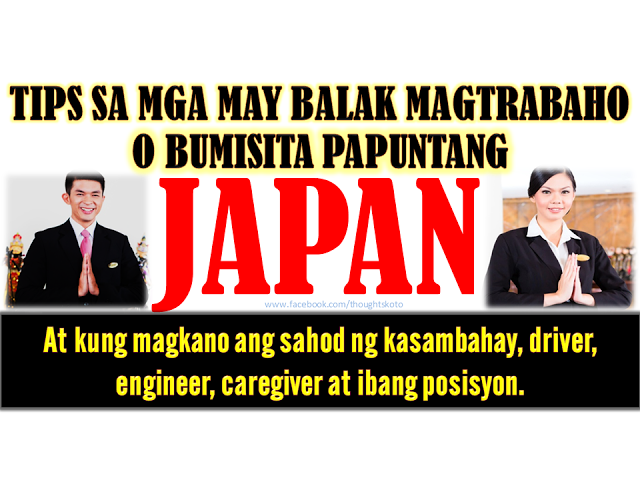 NO PLACEMENT FEE: P60,000 SALARY OF KASAMBAHAY TO JAPAN STARTING JULY 2016.